Breaking coal’s grip on power generation is the way to go, all the more so given the declining cost of renewable energy. What role can India play in averting climate catastrophe? The Intergovernmental Panel on Climate Change’s special report, released recently, could not be clearer in its warning of the planet’s unfolding climate breakdown at our hands, or the fact that without quick, urgent and strategic action on our part, the situation will get exponentially worse. Scientists, by nature, do not scream. But this report on the need to control global warming to 1.5 degrees Celsius is the equivalent of a scientific yell that we are all facing a civilisation collapse because of climate disruption. Our living planet has started to unravel, and despair, inaction or casting blame is not an acceptable response. Determined and strategic action now can mean the difference between total climate catastrophe (worst case) and a painful but manageable adjustment to an altered planet (best case). The report posits a stark difference between keeping average temperature increase to under 1.5 degrees Celsius rather than the more widely accepted target of 2 degrees Celsius before the Paris climate talks in 2015. The world has already warmed about 1 degree Celsius. What will global inaction mean for India? Think back to disasters like the floods in Kerala this year, widespread forest fires, the 2013 Uttarakhand flash floods, and the recurring drought much of the country has seen over the last decade. Now imagine some or all of these “natural” disasters in the same year. And then imagine more of the same every single year after that. India, with the massive development challenges its already face, will simply be unable to cope with recurring disasters of such magnitude. The social, political and economic impacts will overwhelm all aspects of life on the subcontinent. To meet the 1.5 degrees Celsius goal, global action is needed on several fronts, including tackling deforestation, land use, transportation and ending the use of coal to generate electricity, the last being one of the most significant contributors to carbon emissions. An analysis by Greenpeace and Coalswarm, a global research platform, shows that while phasing out coal power worldwide by 2050 (by 2030 in the developed world) is difficult, it is possible. As with all big challenges, the key is to tackle it in parts. All coal plants in the pre-construction phase must be cancelled immediately. Existing global coal power capacity must be cut in half by 2030. Organisation for Economic Cooperation and Development countries must implement a full phase-out of coal by 2030. Worldwide, a near-total global coal power phase-out must be in place by 2050. For India, a developing country where coal plays a large role in electricity generation, that deadline is 2050. India has done relatively little to precipitate the climate crisis, but our actions can play a huge role in resolving it. Apart from continuing to pressure the rich Organisation for Economic Cooperation and Development countries to do their share (which India has historically done well), we must also look to our own economy and ensure our use of coal power (India’s biggest contributor to greenhouse gases) is near zero by 2050, while also preparing to phase out oil and gas. Happily, the changing energy economics of coal and renewable now means a phased in energy transition will, in fact, yield net savings for the economy in terms of cheaper electricity as well as environmental benefits. How feasible is an Indian coal phase-out by 2050? It might not be as improbable as it sounds. With falling costs, renewable energy now offers cheaper electricity than new coal projects, and in fact cheaper electricity on a tariff basis than two-thirds of existing coal generation. 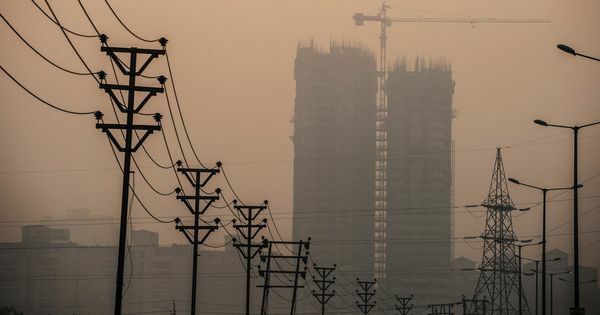 Shutting down the oldest and most expensive coal power plants can save over Rs 20,000 crore in annual power purchase costs, based on 2016 tariffs. So if we move steadily and in phases, this is something that can yield both climate and economic benefits. First: All coal power plants in pre-construction phase must be scrapped and not allowed to progress. 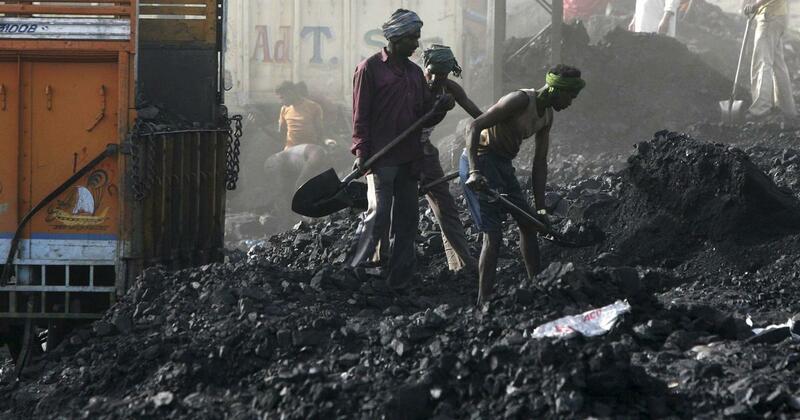 India currently has about 63 gigawatts of coal in the pre-construction phase. Scrapping them would mean all government agencies and bodies (including the Ministry of Environment and Forests, the Ministry of Power and the Public Investment Board) must immediately halt any approvals for new coal power plants. Banks and financial institutions must not risk any loan approvals or disbursements. In the case of projects that have already acquired land, this can either be returned to the owners/users or, with the consent of the landowners, the feasibility of converting the area into solar/wind projects can be assessed. Second: There is about 70 gigawatts of coal under construction officially, though the Coalswarm data tracker shows only 39 gigawatts in active construction as of July; some of these projects have been stalled for years. Continuing to plough scarce financial resources into reviving these projects is risky – good money after bad – given the drastically altered competitive nature of coal versus renewable today. Even if these projects are revived and completed with additional funds, they are almost certain to run at plant load factors below 60% (according to Central Electricity Authority projections in the 2018 National Electricity Plan). They will find it difficult to secure long-term power purchase agreements given the power surplus position across most of the country, and the fact that new renewable projects are able to guarantee power to cash-strapped distribution companies at lower tariffs. Investors should walk away from these projects entirely or run the risk of incurring additional non-performing assets down the road. Another option would be to force promoters to make the necessary equipment modifications to alter these plants to fast-cycling units that can ramp up in the evening hours when renewable energy generation is insufficient, but ensure that their operation is curtailed when carbon-free supply can take over. Third: Start shutting down the oldest, most polluting coal power plants. This is already underway, with 1.7 gigawatts of coal shut down in financial year 2019. A clear timetable for the shutdown of 22.7 gigawatts by 2022 and 25.5 gigawatts by 2027 (as mentioned in the 2018 National Electricity Plan) needs to be in place and adhered to. Trying to keep these old plants alive and putting them through costly retrofits so that they adhere to air pollution rules would not be a wise use of resources. Overall, India’s coal installed capacity will need to peak by 2022 and fall thereafter as the oldest plants are retired, reaching virtually zero by 2050. If we are able to deliver the first three steps listed above, we will be well on our way to breaking coal’s grip on India’s electricity system, as renewable energy generation and energy storage technologies are expected to continue to decline in cost. And we will be showing true climate leadership on the world stage. Apart from helping save the country from climate-induced ecological disaster, we will have cleaner air, protect our forests that are currently being destroyed for coal mines, and more water resources to devote to agriculture. But the main reason to start to commit to a coal phase-out in India is that our lives, and those of our children and their children, will, literally, depend on it. The task ahead is difficult, but the stakes are high. Inaction is not an option – survival is. Diya Deb is campaign director, Greenpeace India.